Courtesy of 3D Realty & Property Mgmt., Darryl Clinton. This two-story, 4 bedroom, 2.5 bath home features 2323 square feet of living space. The first floor offers a separate dining area adjacent to a large open kitchen. The kitchen opens to a spacious living room that extends to a large covered patio, perfect for outdoor dining! Just off of the living area is a powder room and master suite which features a large walk-in closet. The second floor highlights a spacious game room, a full bath and three large bedrooms. HOA name: AMHURST HOMEOWNERS ASSOCIATION, INC. 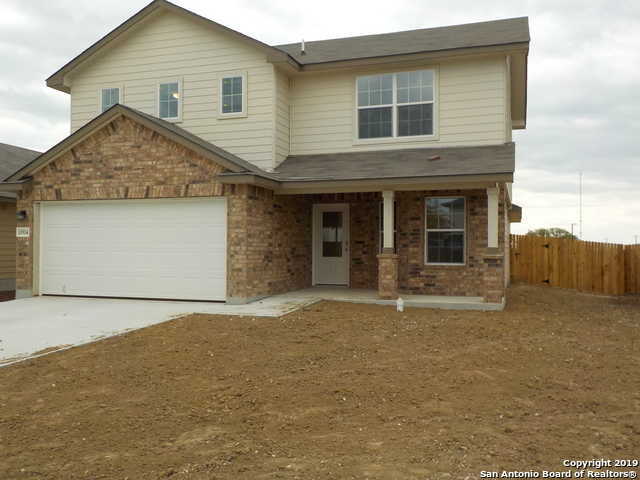 Please, send me more information on this property: MLS# 1363505 – $239,900 – 11914 Pearl Jubilee, San Antonio, TX 78245. I would like to schedule a private showing for this property: MLS# 1363505 – $239,900 – 11914 Pearl Jubilee, San Antonio, TX 78245.